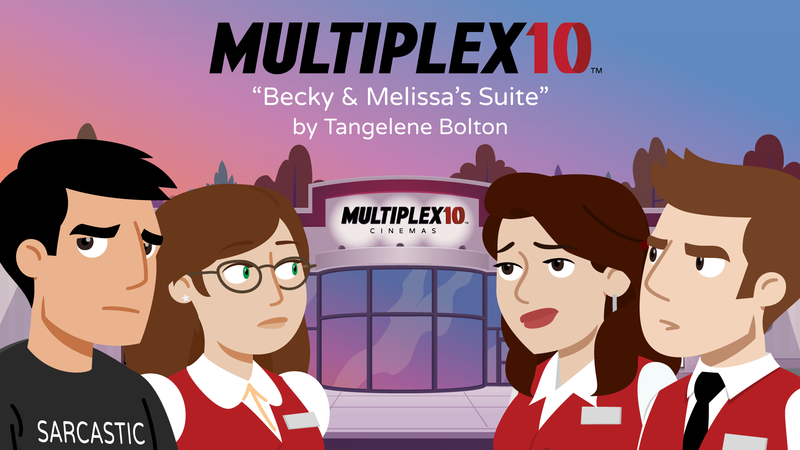 Help fund the Multiplex 10 animated short’s film festival run and release! One week down in the Multiplex 10 Indiegogo Second Chance campaign. We currently stand (at the time of this writing) at a little over $1,400, with $600 remaining. At the pace we’ve been going, we’re in decent shape. We should get to the goal. We’ll need a few generous backers to get to the $4,000 stretch goal, though, where we can fund an all-new 2–3 minute webisode to start off Multiplex 10: the web series. Fingers crossed (and we’re looking into other avenues for funding that, too). So if you haven’t already checked out the Indiegogo campaign, please do! Every dollar we raise over the base goal will help the film festival run, release, and promotion of the short—all of which increase our chances of making even more full-length (11-minute) episodes of Multiplex 10. 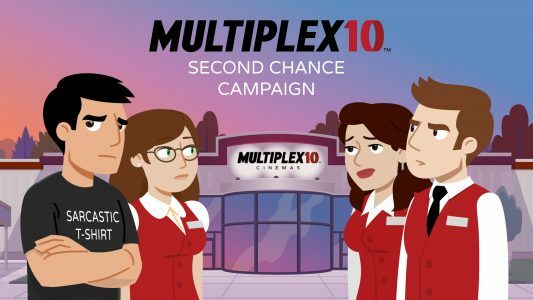 Multiplex 10 Indiegogo Second Chance Campaign has launched! With the production of the animated short now COMPLETE, we’ve launched an Indiegogo Second Chance campaign to help fund the distribution and marketing of the short. Rewards include the Multiplex 10 short preloaded onto a Multiplex 10 wafer USB card, the screenplay, or even a VERY limited number of producer credits, if you’re into that. And the stretch goals include producing ALL-NEW Multiplex 10 “webisodes.” So if you miss Kurt, Jason, and the rest of the Multiplex 10 gang, head on over to the Indiegogo Campaign page to learn more — and watch a preview of the first scene from the short! But act fast, because this project ends on January 5, 2018 11:59pm EST! It’s a quick one!